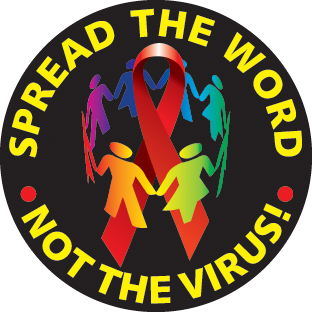 *SALE BAG OF BUTTONS!- 72 assorted 1½" HIV/AIDS Awareness buttons per bag. All styles or choose your favorites, only $32.50 per bag. Price includes a 10% discount. The price break & percentages differ with each item. Call us at 1-800-366-2150 or email us at info@lifejackets.com for more details. 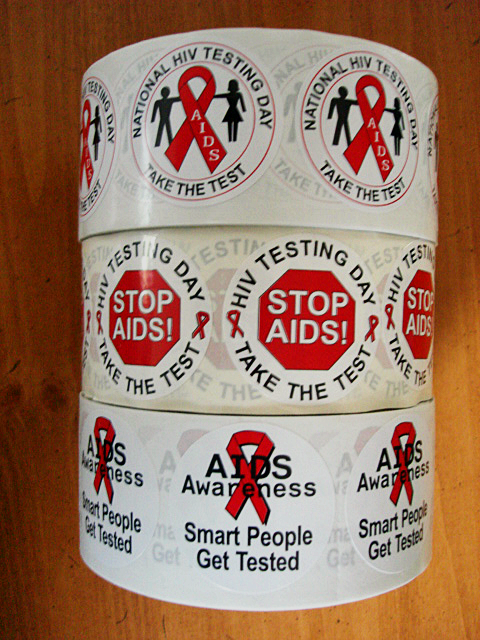 HIV AWARENESS STICKERS!- Order 3 or more rolls of any of our stickers and save 10%. Only $48.95 per roll of 1,000. Regular price $53.95 per roll.